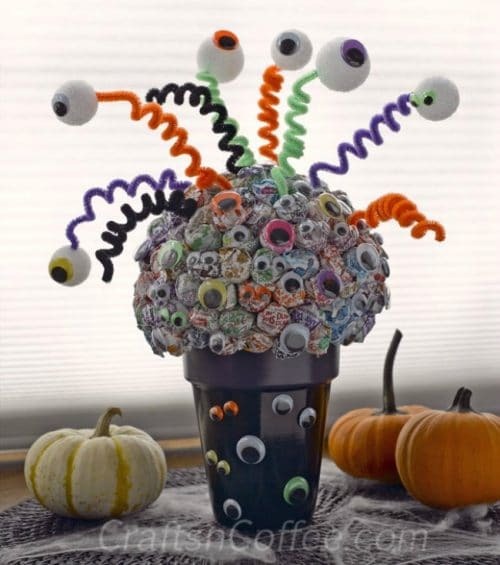 It’s no secret that I love candy bouquets. I’ve been sharing them for a while now, they’re so much fun! 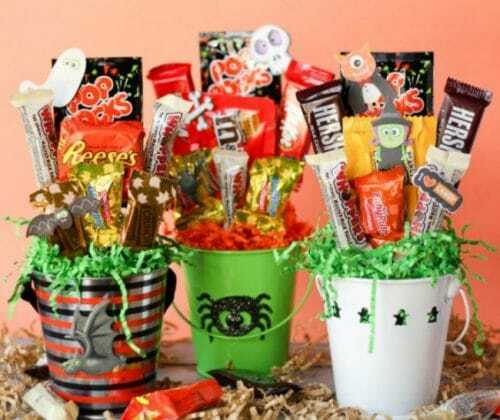 I really wanted to make a Halloween Candy Bouquet this year, but ran out of time so instead I’m sharing some awesome Halloween Candy Bouquet ideas. In the past I have made a Valentine’s Candy Bouquet, a Teacher’s Gift Band Bouquet and I also shared a few beautiful candy bouquets from around the web. 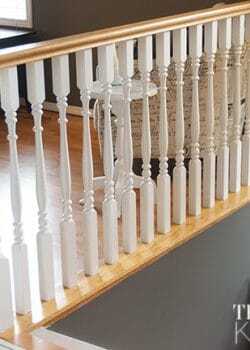 They’re just so darn awesome, and super fun to make. 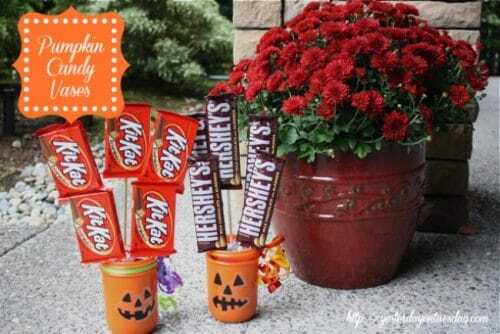 I love how these are individual buckets, these are a great Halloween party favour idea. 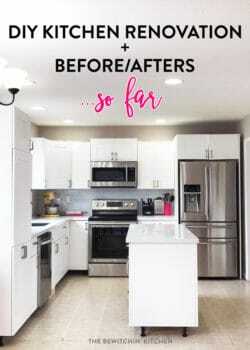 I’m all over this one! 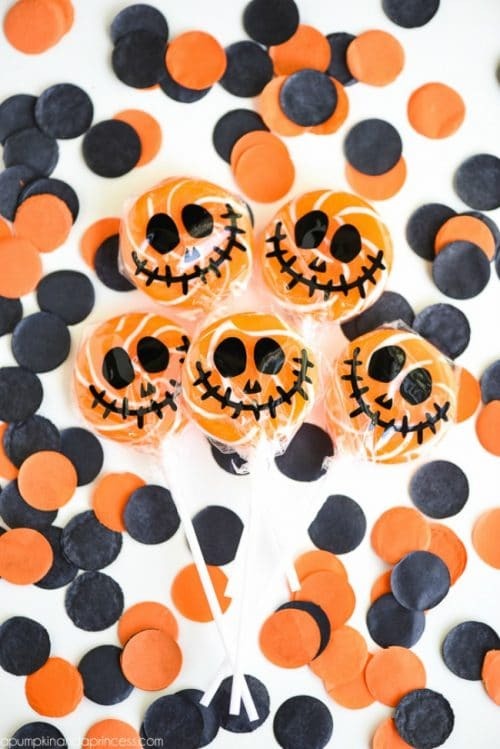 I’m a big fan of lollipops and I like the googly eyes placed all over the place, a cute monster theme centerpiece as well. I don’t want to admit how many peanut butter cups I can eat in one seating (I’m not the only one, right?). However, I think I could hold off if they looked this cute (I hate ruining displays). 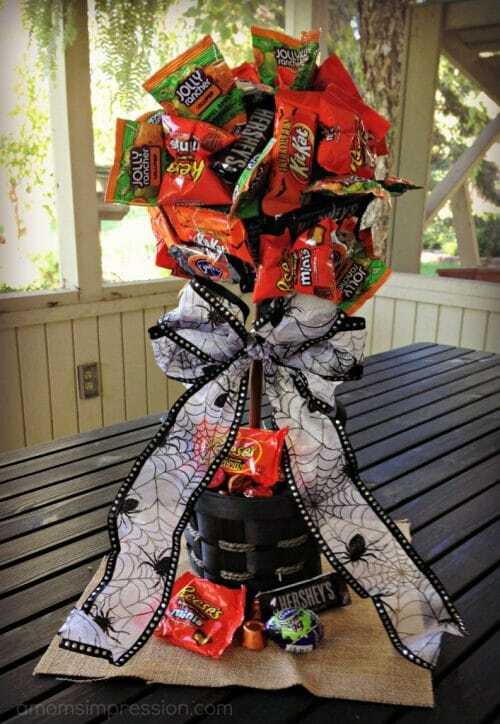 This candy tree bouquet is my favorite Halloween Candy Bouquet. It looks relatively easy to put together (I’m guessing a hot glue gun or tape and sticks) and I love the spider themed bow. 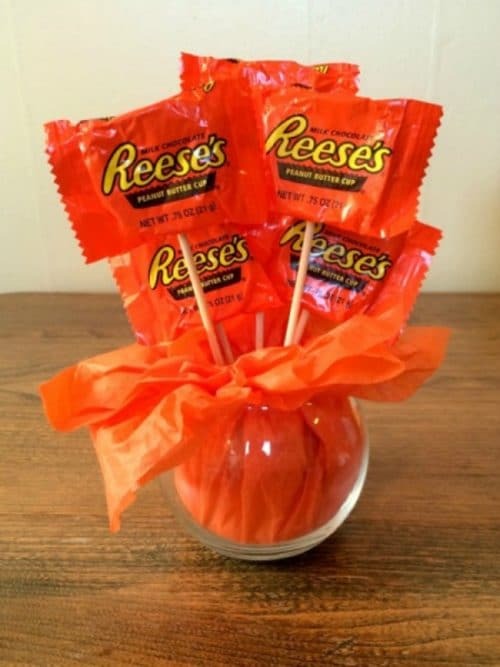 Another awesome (and easy) candy bouquet idea. My favorite candy in this bouquet is a ring pop. Maybe I should make a ring pop bouquet? 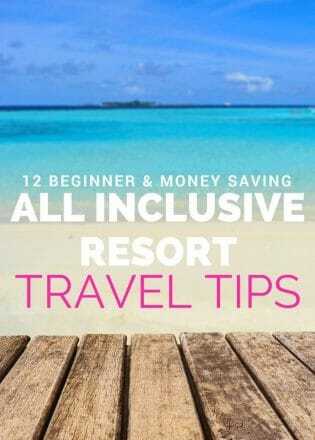 Another great idea! These would make great accents in a candy bouquet. 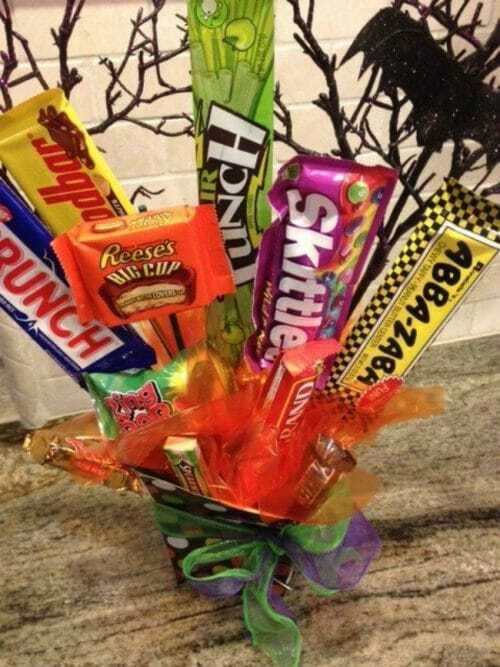 Have you ever made a candy bouquet? What’s holding you back? 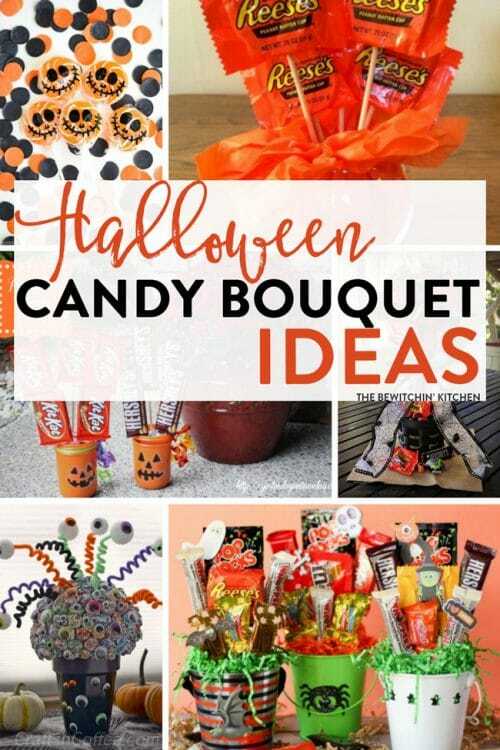 If it’s the how to, I have a great video on How To Make a Candy Bouquet (see below). What’s your favorite Candy Bouquet off this list? Yummy! These are all so fun. 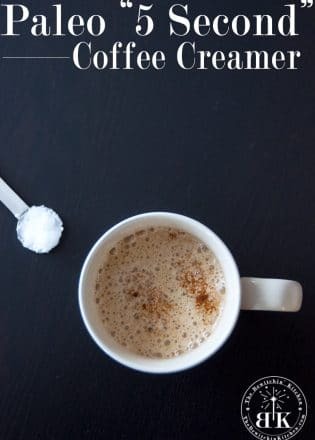 Thank you for including the Lollipop Bouquet from CraftsnCoffee.com! 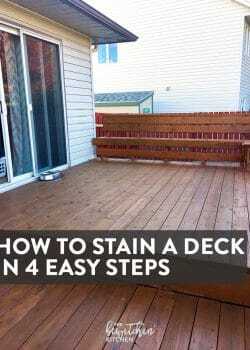 You’re welcome Sharon! Have a great week.